Melody & Mist: Joseph Karl Stieler Portrait of Mathilde von Bayern. Joseph Karl Stieler Portrait of Mathilde von Bayern. 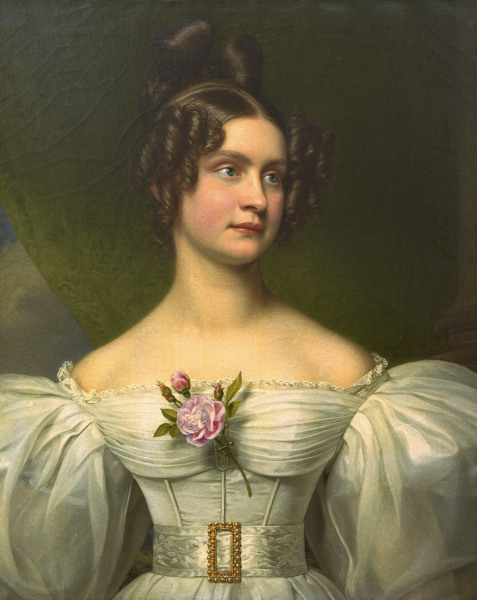 Mathilde wears an evening dress with huge outer sleeves in her 1830 Stieler portrait. Her only visible jewel is her belt buckle.